Murat Günak, a name some of you might have heard of a name you should know. Turkish by birth and upbringing Günak started his career after he graduated from his Ford sponsored degree of Master of Automotive Design by the Royal College of Art in London in 1983. He moved to Cologne with Ford where he worked for 2 years before moving on to Mercedes – there he was to stay for the longest time in his career for 8 years and designed the first C-Class and SLK. 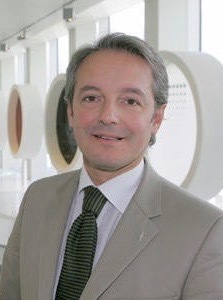 Then came his big break, he became Head of Design at Peugeot in 1994 and this is when his relationship began with his future colleagues at Heuliez. From Peugeot and models such as the 206 CC, 307, and 607 Günak kept gaining ground until he made made it back to Mercedes in 1998 as Head of Design of Mercedes Passenger Cars, Maybach and SLR at DaimlerChrysler AG! However, when he moved to VW in 2004 the seed for what he wanted to really be doing had been planted. So much so that only 3 years later in 2007 he had his ‘ahah’ moment, he realised that he had to design and make green cars. Günak disappeared off the automotive map for a while and amid gossip and hearsay it emerged that he was designing an all-new electric vehicle called the Mindset. He was in Switzerland and together with his old school friend from RCA, David Wilkie, and Professor Tumminelli they were building a dream. Mindset didn’t really work out the way they had planned but on the way he returned to Heuliez and when the company was going bankrupt he found a buyer for a new dream…for the Mia-Electric.